Jeff Abbott is a perennial BookPeople favorite, and his new book doesn’t disappoint. Here, Meike reviews it ahead of Jeff’s visit to the store Thursday, October 25th at 7pm to discuss it. You know that feeling you get when you think there might be someone following you? You walk a little faster, and then they walk faster, too? And the faster you go, the faster they go, until at the end it’s straight up race for survival? That’s how Jeff Abbott’s latest standalone, The Three Beths, feels. You’ve been warned. It’s been a year since Mariah Dunning’s mother Beth vanished from their home in Lakehaven, TX, a comfortable suburb of Austin. The residents there have known each other for years, so Mariah acutely feels the suspicion that’s fallen on her father Craig. One day she briefly catches sight of a woman who Mariah believes might be her mother, and she becomes more determined than ever to discover the truth to her mother’s disappearance. That’s the only way she can prove not only that Craig didn’t kill his wife, but also that Beth didn’t choose to walk out on her daughter. With the help of a crime blogger, Mariah discovers that two other Lakehaven women disappeared recently—both of them named Beth. In a story with multiple plot lines like this, the pacing is critical and Abbott hits the mark — each part of the story is revealed subtly and at just the right time. That leaves the reader simultaneously wanting to race to the next clue and trying to slow down so as not to miss any important details. And there are just the right amount of twists and turns to keep things lively without going off the rails. 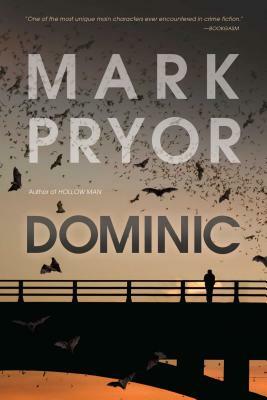 Dominic by Mark Pryor: Picking up where Hollow Man left off, the titular Austin attorney/musician (who happens to be a psychopath) continues his murderous ways. A Reckoning in the Back Country by Terry Shames: When a resident of Jarrett Creek is mauled by vicious dogs, Texas lawman Samuel Craddock suspects a dog-fighting ring may be operating in his town. Into the Black Nowhere by Meg Gardiner: Following last year’s smash thriller Unsub, newly minted FBI agent Caitlin Hendrix investigates a series of murders around the Austin area. Sunburn by Laura Lippman: The New York Times bestselling author returns with a superb novel of suspense about a woman who knows how to play the long game to get what she wants. The Silent Companions by Laura Purcell: A Victorian gothic tale about a young pregnant widow who is sent off to her late husband’s creepy, crumbling, and possibly haunted estate. 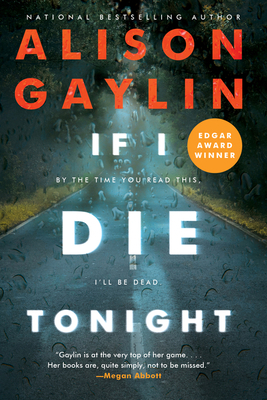 If I Die Tonight by Alison Gaylin: The award-winning Gaylin brings us an addictive story of psychological suspense told from multiple viewpoints. A Perfect Shot by Robin Yocum: Yocum’s A Welcome Murder was a 2017 favorite of ours here at MysteryPeople and we can’t wait for this tale of a local basketball star in a small Ohio town who tries to remake his life but instead gets tangled up in murder. See Also Proof by Larry Sweazy: Sweazy’s series featuring North Dakota indexer Marjorie Trumaine is another favorite of ours. As she’s mourning the recent death of her husband during a particularly harsh winter, she helps investigate the disappearance of a neighbor’s disabled daughter. A Stone’s Throw by James Ziskin: Ziskin’s series features 1960’s news reporter Ellie Stone, who is one of my personal favorite characters in the genre. 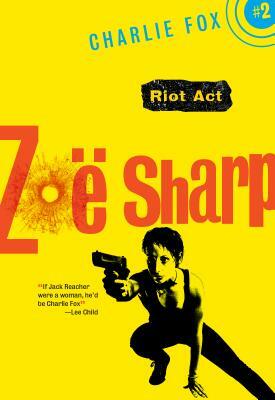 This time the intrepid Ellie investigates a double murder set in the glamorous world of horse racing. Give Me Your Hand by Megan Abbott: The queen of noir (part of the writing team behind HBO’s The Deuce) returns with a mesmerizing psychological thriller about how a secret can bind two friends together forever or ultimately tear them apart. 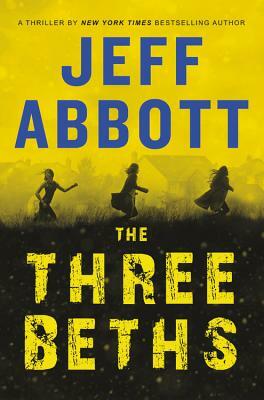 The Three Beths by Jeff Abbott: Three women, all with the same name, have gone missing from idyllic Lakehaven. Given that Abbott is one of the best thriller writers of our day, it’s pretty much a given that this is not a coincidence and that there are some sinister goings on here. Jeff Abbott joins us Tuesday, July 18th, at 7 PM to speak and sign his latest, Blame, which just so happens to come out the day of the event! Come by the store to be one of the first to get a signed copy. Jeff will be appearing in conversation with fellow Austin-based thriller writer, Meg Gardiner. Before the event, our Meike Alana had a chance to interview Jeff about his latest. Meike Alana: Your protagonist is Jane, a young woman struggling with amnesia. You’ve done a marvelous job of depicting the insecurity and angst that any post-adolescent female feels, and here that’s heightened by her inability to remember pivotal moments of her life. What was your inspiration for the character? 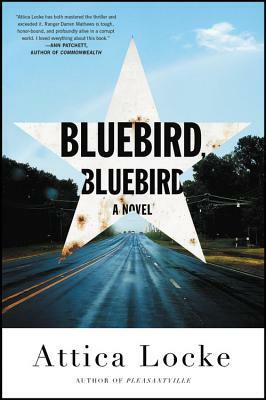 Jeff Abbott: I was basically terrified of writing a 19-year-old female protagonist, but I wanted to write about someone who wasn’t quite a fully formed adult, and who had lost her own memory of those critical high school years where so many young women and men get a sense of who they are and who they want to be. I was hesitant to try this, but some of my fellow authors like Laura Lippman and Megan Abbott encouraged me. Plus, I have two teenaged children, and I think being around them and their wonderful friends gave me some insights into how they think about the world. I think it is all about writing with sensitivity to a character and finding common ground and understanding. No, I don’t know what it’s like to be an amnesiac teenager. I do know what it’s like to feel overwhelmed, or alone, or as if no one understands you or likes you. We’ve all been there. But the specifics of what a person feels at a certain point in their life is of course different. I just tried to use my imagination responsibly and respectfully. Jeff Abbott is one of the most versatile authors in the crime fiction genre, and his broad story-telling talents are on full display in his latest thriller. The deeply psychological Blame has it all—a cast of fully-realized complicated characters with plenty of secrets, and a tightly-wound suspenseful plot with so many twists and turns that you’ll never see the ending coming. I’m just glad Blame came out during the longer days of summer because this is one of those books that will keep you up at night–first you won’t be able to put it down until way past your bedtime, and then you’ll lie awake trying to puzzle out the characters’ secrets and the plot’s riddles. over your proverbial shoulder. How appropriate that the author of the debut novel The Freedom Broker may be better known as the executive director of ThrillerFest, the organization’s annual conference held every July in New York City. 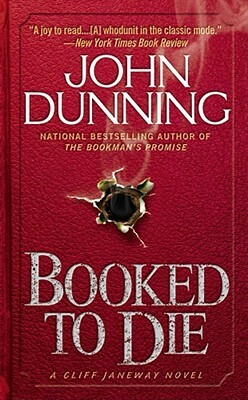 The book comes with quotes praising it from authors throughout the mystery and thriller community including James Patterson, Clive Cussler and Scott Turow. For her debut Howe has picked a fascinating yet disturbing topic: the practice of kidnapping for ransom. She has spent two years researching the topic, interviewing former hostages, negotiators, hostage reintegration experts, special forces operatives, and K&R insurance executives. The premise is that there are 25 elite professionals who travel undercover to the deadliest spots in the world to bring hostages home safely by any means necessary. Only one of those 25 elite response consultants is a woman. 2016 Preview: Back to Back Events! As we wait patiently for the wild mood swings of a Texas winter to die down, we’ve got plenty of events coming up to strike a mystery lover’s fancy – no matter the weather outside. Jeff Abbott ushered in our 2016 events this past Tuesday, speaking and signing his latest thriller, The First Order. Coming up at the end of the month, Reed Farrel Coleman, a long-time favorite, comes to visit with two new books: Robert B. Parker’s The Devil Wins, a Jesse Stone novel, and Where It Hurts, the first in a new series and our Pick of the Month for January. He’ll be here to speak and sign his latest on Saturday, January 30th, at 5 PM.